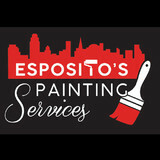 Your professional, affordable, full service painting contractor, serving the residential painting needs of the entire Buffalo & Niagara Falls area. Interior and exterior, carpentry repairs, power washing, color consulting, and deck staining/refinishing – we do it all with a focus on customer service not commonly found in the trades. The quality of the finished paint work in your house will have a significant impact on the overall look. A good paint finish by professional painters makes the difference between a home you like, and a home you love. In addition, quality house painting increase property value. Therefore, it’s important to hire a painter you can trust with your home. we are highly trained, skilled, experienced and professional house painters, who market ourselves on trust and quality workmanship. Not sure what paint texture or colour design scheme will look the best in your home? You can relax, our house painting experts will help ensure your home looks fantastic when we are done. We can make your design ideas come true! 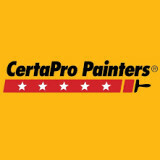 With our 30+ years of house painting experience and professional workmanship, Our Painting Service's key to providing you with an exceptional paint finish is intensive preparation, use of quality paint and an attention to detail that has resulted in over 80% of our NEW painting customers coming from referrals. WHAT MAKES US UNIQUE? Our approach, our personality. We respect the craft of painting, we respect our clients and we respect the homes we work in. Our employees all have an artistic ability, and most artists are unique people. While we are working in homes, we are always approaching our craft like its work of art. The final product is entirely based on the process involved, and the energy put forward into such work. This is why we choose to employ artists and creative personalities, its a unique approach that guarantees our work is always of a stellar quality. 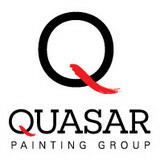 Established in 2010 - Quasar Painting Group is a referral built, family owned residential and commercial painting company based out of Hamilton, Ontario. Owner, Brian Smith has over 15 years experience in the paint trade, and over 20 years of experience as a fine artist. Abraxis Painting welcomes all homeowners and clients from many parts of the home improvement industry. Abraxis Painting is a full service painting contractor, capable of producing high quality and high detail residential projects that fit your budget and deadlines. Specializing in customer service, we ensure that every customer that chooses Abraxis is fully satisfied with the finished product and feels confident in referring their family and friends to our organization. Buffalo Paint and Wallpaper is a full service design center specializing in paint, wallpaper,upholstery,fabric,cabinetry, window treatments,hardware,& high end furnishings. We carry Farrow & Ball, C2 and Pratt & Lambert paint lines for interior and exterior projects. "We transform your setting into a beautiful living space. With Living Colour Painters, your budget has never looked so beautiful." 80 percent of Living Colour clients are referral based. We've achieved this by always proving ourselves with professional work and satisfying our customers, because that’s what you should expect when hiring professional painters. What makes us different from other painting companies is our attention to detail and the reliability of our staff to get the job done right the first time, because we’re dedicated to the customer %100. We’re not happy, until you’re happy. Driven by excellence and maintained by a commitment to serve the homeowner, business owner, designer, builder and contractor. This uncompromising commitment to quality workmanship and fair business practice allows companies such as PainteRon to rise above the competition. Constantly learning, improving and acquiring new skills is the mark of a good tradesman. Learning the tricks of the trade and how to work smarter and more efficiently comes only with experience. With over 25 years of experience, you can trust PainteRon with your next renovation project. We are a husband-wife interior and exterior house painting team serving the Hamilton and Burlington regions. We provide high quality paint jobs, within your budget! I am a residential wallpaper hanger with over 25 years experience. 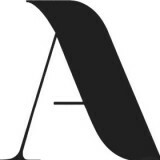 I involve myself with design and installation decisions as well as an A-Z approach on how to begin, prepare, plan and realize a wonderfully completed installation. I am interested in all jobs, big or small. 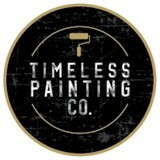 Walls Alive Painting Group a Brian Baeumler Approved company as featured on HGTV servicing Oakville and surrounding areas with our eco-friendly approach for over 25 years. We only use the finest paints from Benjamin Moore and Sherwin Williams paints. Terra Painting Services is a professional wall coverings team, proudly servicing the Greater Toronto Area. With over 10 years of experience in the painting industry there is no job we can't handle. Owner André Terra has been in the business for over 10 years, beginning his career working at The Painters Place in Oakville. Throughout his time there he learned all there was to know about products and application. Trained from all the established painters in the trade, took all that knowledge and created his own Brand of service. Providing the best in both customer services and quality. ~ Professional ~ Fast ~ Clean We provide an unmatched service, from prep to clean up. It is a seamless process with minimal intrusion into the home. Fast, Affordable and Professional. Terra Painting Services is fully insured with WSIB and Liability Insurance, to ease your mind when deciding to go with us. Let us Turn Your House Into A Home.